Mobile point-of-sale startup Moka raised a US$1.9 million series A round led by East Ventures. Convergence Ventures, Fenox VC, Northstar Group, and Wavemaker Partners also participated. The announcement was made today. 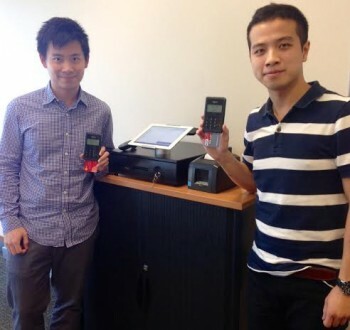 Moka replaces traditional cash registers with a cloud-based point-of-sale system that runs on iOS and Android devices. Moka also enables small businesses to accept credit card payments without going through the long application process at the banks. It’s a solution that can make life easier for small and medium enterprises. “Moka will streamline business processes, increase efficiency, and give traditional retail owners better visibility of their business,” says Willson Cuaca of East Ventures. Since launching in early 2015, Moka says it has signed up 1,000 stores as paying customers. Starting in Jakarta, it has since expanded its sales team to Bandung, Bali, and Surabaya this year. In the next phase, the startup is going to focus on accelerating the growth. “There are 60 million SMEs in Indonesia, the majority of which are still run manually using pen and paper. We plan to use the new funds […] to make POS and cashless payments accessible to all business owners,” says Moka CEO and co-founder Haryanto Tanjo. The startup had raised a bridge round in August 2015 and a seed round in September 2014. East Ventures also led the seed round.